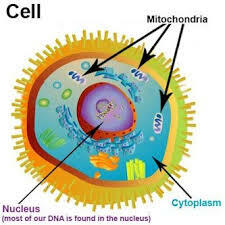 Mitochondria are small organelles located in most human cells. They are our source of energy, and serve to regulate cellular metabolism. 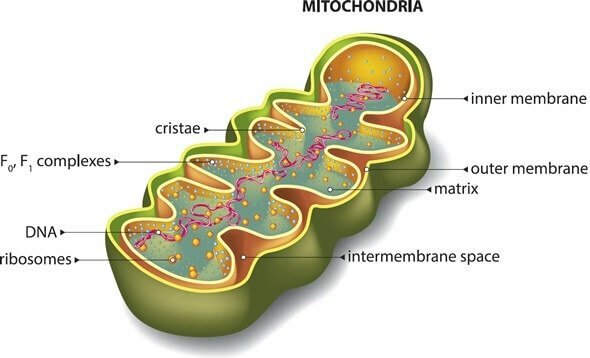 When we have too few mitochondria, or when they are not functioning properly, the whole body suffers. Symptoms include muscle weakness, muscle pain, exercise intolerance, vision and/or hearing problems, gastrointestinal disorders, diarrhea or constipation, diabetes, neurological problems, seizures, migraines, strokes, thyroid problems, and dementia. My doctor recommended supplements high in antioxidants (glutathione, CoQ10) and grain-free eating as described in Grain Brain by Dr. David Perlmutter. He’s a neurologist who has seen the devastation that carbohydrates cause in the brain, and is empowering people to make constructive changes in what they eat. Eliminating all sugars and starches sounded drastic but I was past the point of prevarication. Something had to change. I dived in. I ate lots of non-starchy vegetables; moderate amounts of good protein from meat, poultry, fish, and eggs; and plenty of good fats such as grass-fed butter and ghee, extra virgin olive oil, coconut oil, and avocado. I avoided high-carbohydrate foods including starchy vegetables such as potatoes; legumes except chickpeas; root vegetables such as carrots, beets, and parsnips most of the time; sugar from all sources including honey and fruit, except for about half a cup of berries a day. A small amount of maple syrup seemed my best choice of sweetener. To my surprise, I didn’t miss carbohydrates. Undoubtedly that’s because the fat and protein levelled out the blood sugar peaks and valleys that used to cause me to desperately need food. As long as I can remember, I experienced hunger as an urgent need for food. When preparing a meal, I used to chuck food down as I was cooking because my hunger had become desperate. This was true even in my twenties, long before I gained weight. This changed after a couple months of eating low-carbohydrate with lots of good fat. One day it struck me that I wasn’t gobbling my lunch. As I thought about it, I realized that I hadn’t been eating while cooking, either. And that I’d actually postponed making lunch for an hour after the first hunger pangs because I had a project to finish. Wow! This is what hunger is like for normal people. I had no idea! The first photo was taken at a family wedding three months after a thyroidectomy threw my endocrine system into total chaos. In two months, I had gained five inches around my waist along with twenty pounds of fat. For the next ten years, the weight and inches hardly budged. About a year after changing my eating, my weight was down sixty pounds and measurements were eight inches less on each of my bust, waist, and hips. I have remained at this weight for two years with no drama. The second photo is from a couple months ago. It was a surprise and disappointment to realize that losing weight did not solve all my health issues. I thought it was going to. After all, if overweight causes high blood pressure, elevated cholesterol, and increased blood sugar, then it seems logical to expect these levels to return to normal when the weight does. Apparently not. After a year of maintaining a normal weight, my blood pressure, blood lipids, and blood sugar were all higher than they had been. I went for a round of heart tests to see if any clues would turn up on ultrasound pictures of my heart and carotid arteries, electrocardiogram readings, or a stress graph from walking on a treadmill. I wore a heart monitor with electrodes for 24 hours, and a portable blood pressure monitor for 12. Between times I used a home monitor several times a day. There was pressure from my GP and the internist at the heart clinic to take blood pressure medication and statins. I had read enough to know that I did not want to go down that road. For one thing, statins impair the mitochondria. Since mine were already struggling, it made no sense to beat them down any further. Other side effects are diabetes and Parkinson’s, both of which were on my horizon if I didn’t pay attention to what I was doing. For all that risk, the efficacy of statins is also in question. There had to be another way, and I pursued it with my functional medicine doctor despite skepticism and disapproval from the others. Without a doubt, the four months of these investigations was the most stressful medical experience I’d had. I was greatly challenged to be clear about what was right for me. I was feeling very vulnerable. Thank goodness I had some resources to call on. 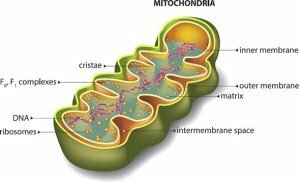 This entry was posted in Revelations, All Posts—newest first and tagged mitochondria, carbohydrates, diabetes, Power Up Your Brain, Grain Brain, Dr. David Perlmutter, good fats, sugars, starches, weight loss, high-carbohydrate foods, elevated cholesterol, high blood sugar, high blood pressure, statins by Laurana Rayne. Bookmark the permalink. Firstly congratulations! You look amazing! I have to say I only discovered Dr David’s book yesterday and I am three hours from the end. I started my own journey on this diet about 6 weeks ago and lost 6kg and have reduced the levels of depression which have been great. I now want to turn my attention to my son who is presently on medication which is distressing me and I want to get him off. Thank you for your article. I will come back to it as the diagrams are really good as a reference. thanks for taking the time to tell your story. Thanks for your encouraging comments, Aranka. Losing the weight is great…and it really isn’t about that, is it? Losing the inflammation underlying the weight leads to feeling sooo much better both physically and mentally! Best wishes as you explore how much better you and your son can feel.